Returning to a specialized elliptical trainer was exhausting for James after a two-month break from intensive therapy. 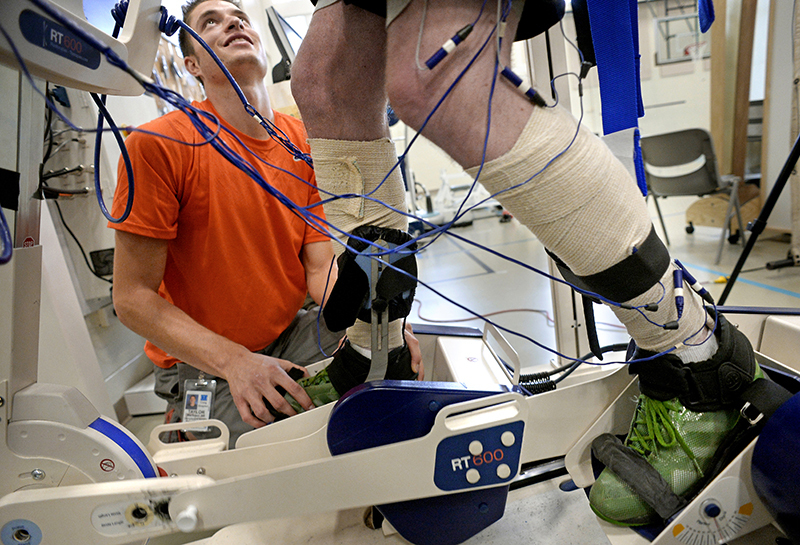 Clinical exercise specialist Taylor Martinez, left, attached 24 electrodes to James that would help fire his muscles to approximate a natural gait. Recent success has shown paralyzed patients can re-learn walking patterns through the discovery that their partially severed spines can become their own brain and control movement.